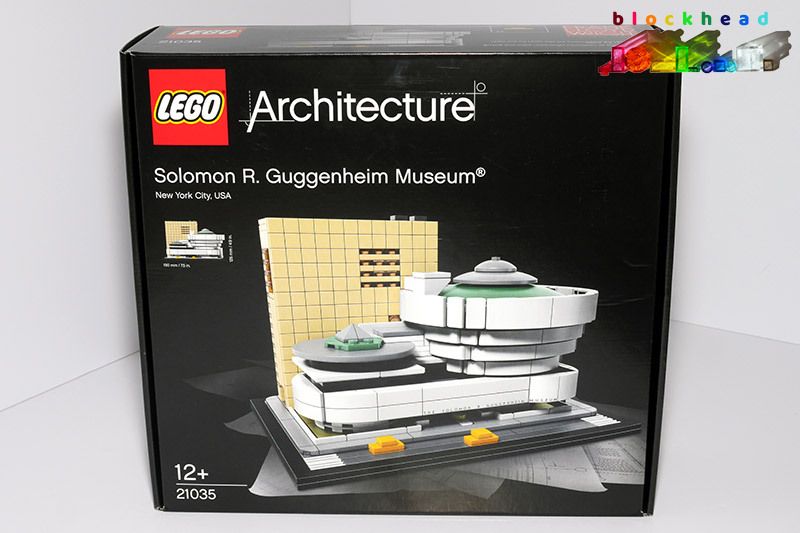 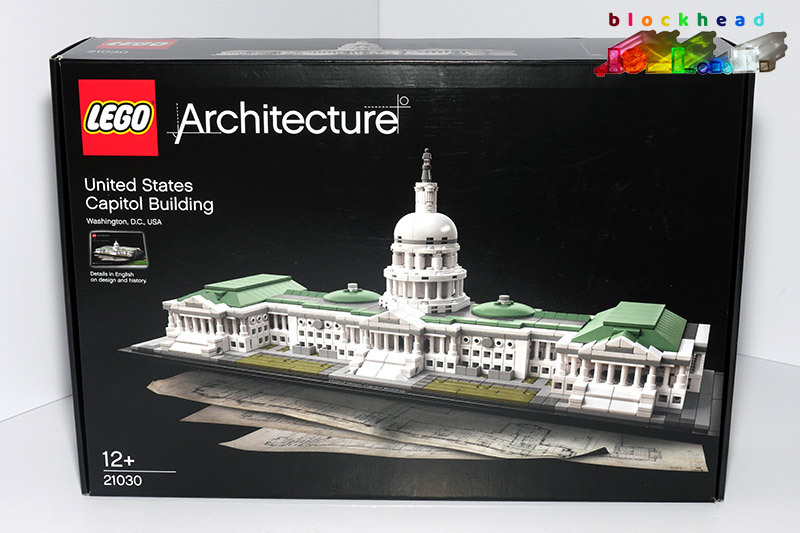 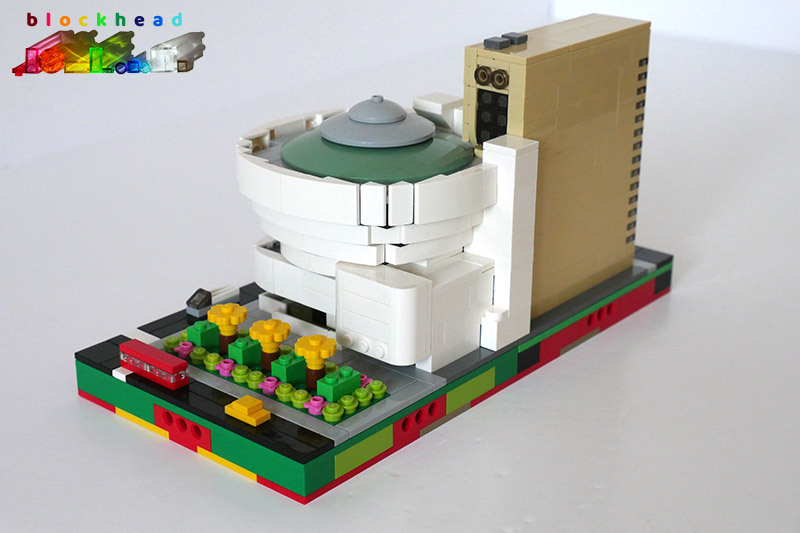 Lego Architecture set Solomon R. Guggenheim Museum, finally put on a Micropolis base to make 1/2 block. 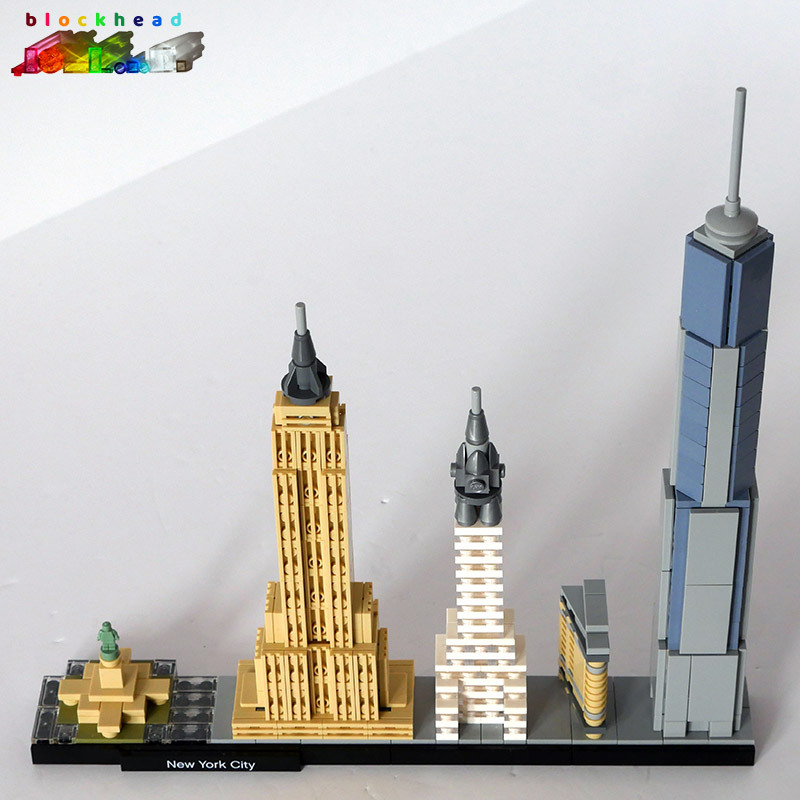 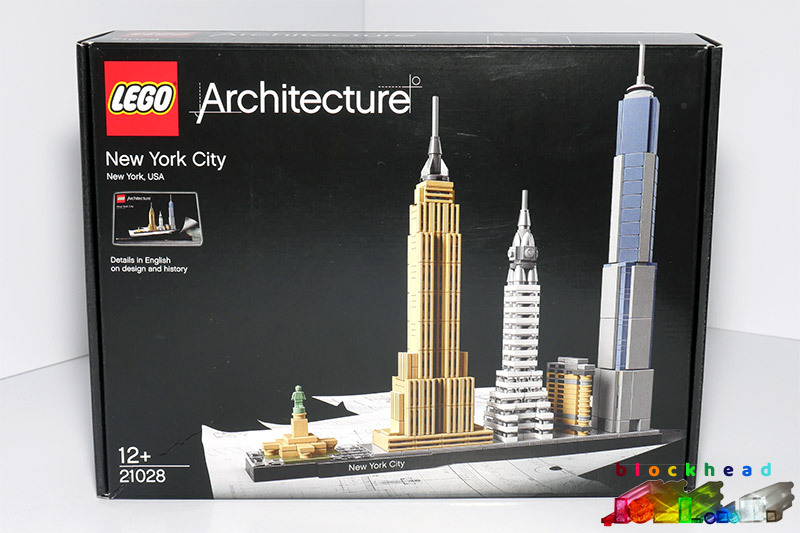 The scale is perfect and it even comes with some ready-made Micropolis taxis! 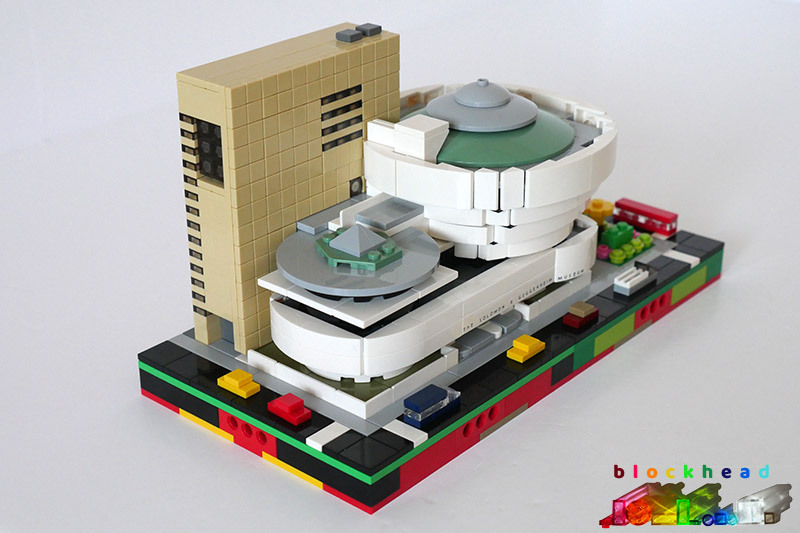 With the addition of a bit of landcasping on the right, it makes a great block for the downtown museum zone. 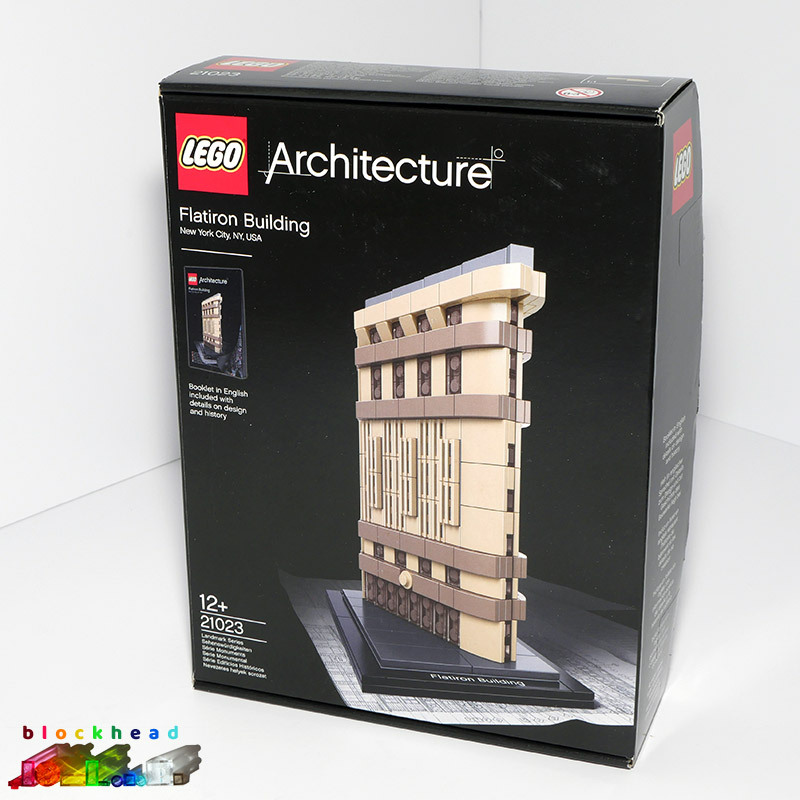 I’ve been after the Architecture series Flatiron Building (21032) for a while now, and found a decent used copy on eBay a few days ago. 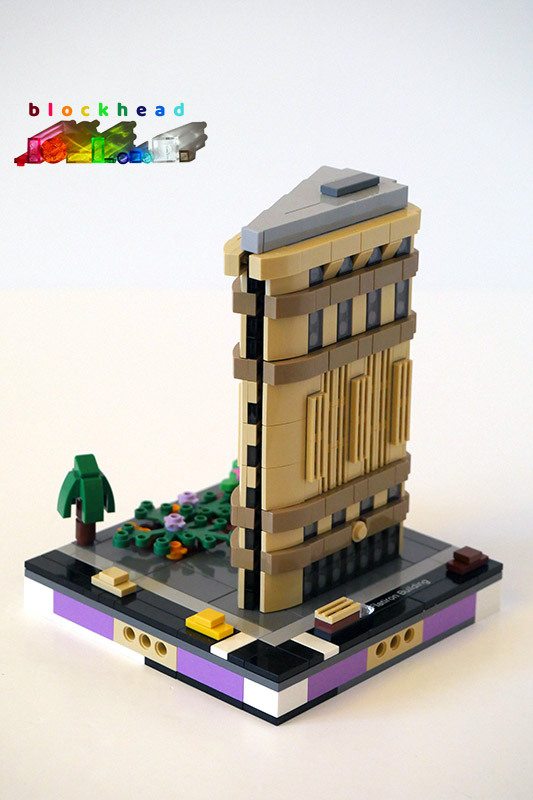 It’s a lovely build, with some great SNOT techniques. 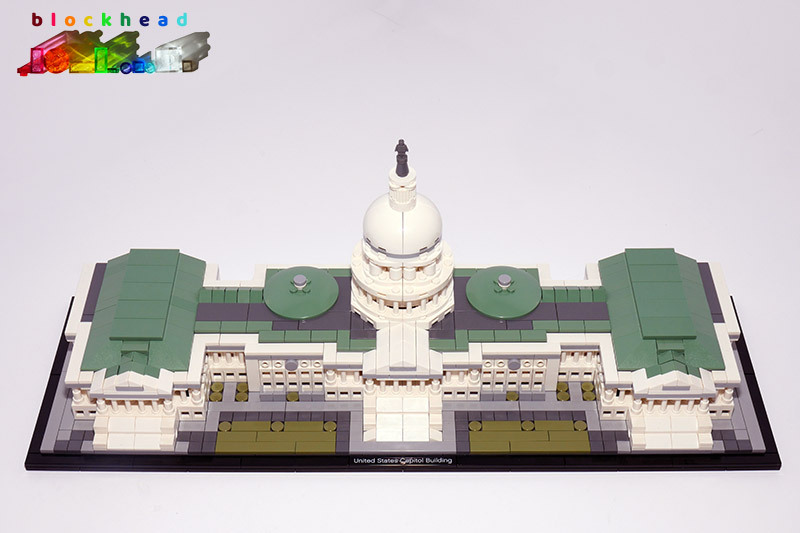 Ever since I first saw it, I’ve thought it would make a great little Micropolis module, so I took it off its original base and built it onto a quarter block baseplate. 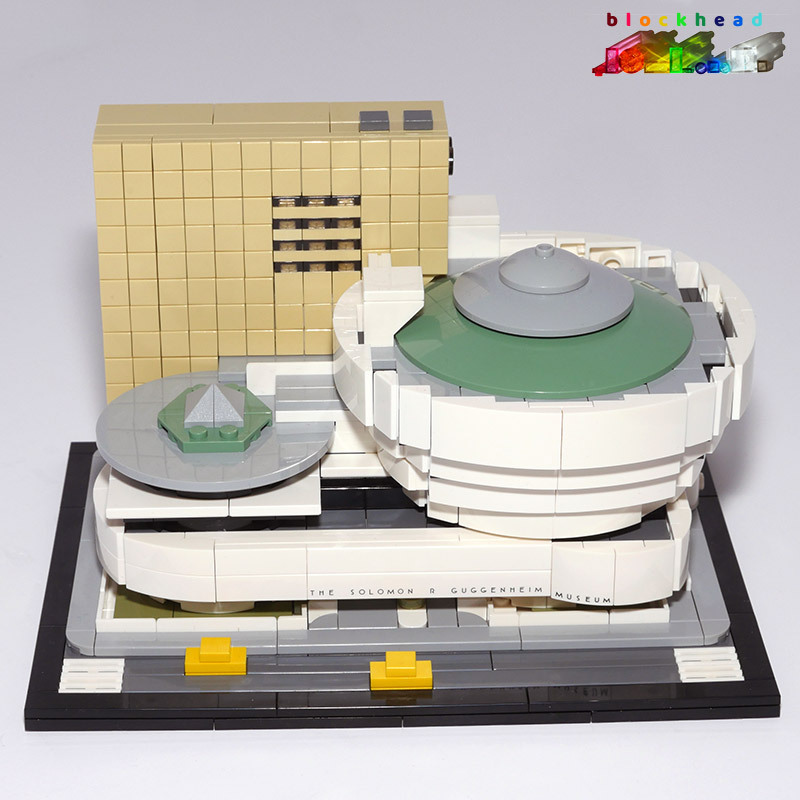 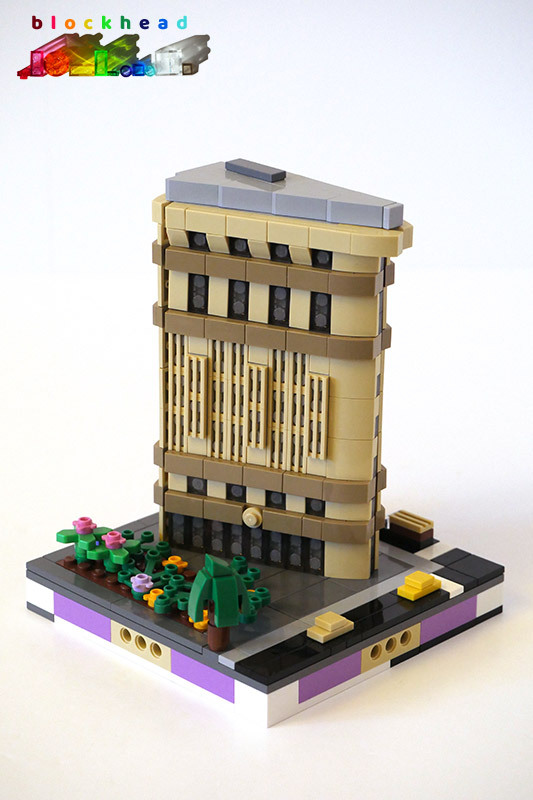 With the addition of some landscaping around the concourse, it looks really good and will make a striking feature in my little Micropolis city.